News room: One Big Book Launch - First 4 Authors Announced! CompletelyNovel has teamed up with Literally PR and an incredible list of sponsors to produce the One Big Book Launch event on 30th April 2014. This unique event will see 10 authors brought together to celebrate the publication of their books at a highly promoted launch party with friends, family, members of the press, publishing professionals and readers. BREAKING NEWS – FIRST FOUR AUTHORS ANNOUNCED! An Egmont picture book, a self-published business fiction début, an emotionally-charged crossover novel, and a contemporary story from an award-winning cookery writer. CompletelyNovel has been inundated with quality book submissions showcasing some of the best writing in the UK. We are therefore very excited to announce the first four confirmed books on the One Big Book Launch, from four outstanding and very different writers from across the industry. SIX places remain – click here to learn more about the event and submit your book before 30th March 2014. Shouty Arthur is the LOUDEST and MOST SHOUTIEST boy alive. He wants to go wildlife watching with his sister Edith but he can’t understand why the animals are nowhere to be seen. This hilarious, energetic and quirky book is the first in a series from Angie Morgan. It will have parents and children alike laughing from start to finish. Angie Morgan is a picture book author and illustrator. Her work includes Enormouse for Chickenhouse and Daisy’s Big Dig for Frances Lincoln. 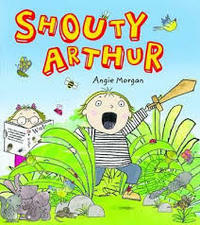 Shouty Arthur will be published by Egmont. It is 2009, in the depths of the global financial crisis. Jasmine Liu and April Wang are on opposite sides of an investment deal, which they know simply as jiāo yì (交易), “the deal”. Jasmine is from China, but working in Los Angeles after business school. April is from a Chinese family but has grown up in the United States, and is working in Shanghai for a Property Company, owned by her uncle. With high-stakes investment, and the perils and victories of entrepreneurship, this début novel explores the risks of corruption in cross-border investment deals, in a changing modern China. David Zen is a business man who travels frequently to China and speaks Mandarin. This is a first novel, and will be published with CompletelyNovel. Oliver Campbell, fourteen, fanciful and funny in equal measure, struggles to unravel the knots of emotion when his little sister, Lily, falls gravely ill with a mysterious disease. Julia Johnston has taught French in secondary school and children/young adults with hearing impairment, acted, and now writes. Her play, ‘Touched’, for Edinburgh Fringe Festival, gained a 5* review from Three Weeks. Two strangers meet in a hospital, unaware that their lives are inextricably linked. Sextet follows Joseph and Tom on a journey through grief and recovery. The drama of betrayal and deception is played out against a background of piano music and hotel bedrooms. The facade of harmony is torn away and from six shattered lives, hope emerges. Judy Jackson is a food writer with 8 published cookbooks. Her first novel, The Camel Trail, won the Best Food Literature Book in the UK in 2007. 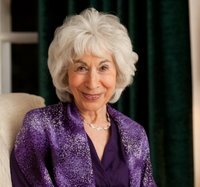 Rather than writing on typical themes for older people, such as decline or debilitation, Judy is a mature writer who spends much of her time in the company of younger people, writing about real life. Why have a One Big Book Launch? Working with independent writers, we’ve seen first-hand some of the challenges faced when promoting and marketing your book. Organising a launch party is a huge task, and without the right financial and promotional resources, it can be difficult for authors and publishers with small budgets to justify spending large amounts of money on a launch. It is this realisation that gave rise to the One Big Book Launch initiative. With the help of our partners Literally PR, and sponsors from Scrivener, Kobo Writing Life and Moo.com, CompletelyNovel has dedicated time to help 10 promising authors organise a book launch to remember. Whether traditionally published or self-published, all books in the One Big Book Launch represent quality writing and storytelling. By combining their efforts, resources and readers, these outstanding authors will be able to get the kick-start to their book marketing that they deserve. Why did CompletelyNovel spearhead this project? We love thinking outside the box here at CompletelyNovel – it’s in our name! The publishing industry is going through a period of exiting change, and this is the perfect time to capitalise on some of the opportunities this generates for authors. As well as offering authors a ‘CompletelyNovel’ way of publishing their books, with low subscriptions and 100% royalties, as opposed to large, upfront fees, CN is also dedicated to bringing further opportunities to their authors. At the start of this year, we teamed up with top editors and authors to create the Get Your Book Fit course, offering authors tips via video that aimed to motivate and educate them to polishing their book ready for publication this year. Last month, CN also announced their collaboration with Greene & Heaton literary agency, that will see top self-published CompletelyNovel books sent to agents for consideration. This event is our attempt to help authors with quality recently published books get a kick-start to their marketing. SUBMISSIONS STILL OPEN – Click here to submit your book for the One Big Book Launch before 30th March 2014. PRESS ENQUIRIES – If you are interested in interviewing authors, or would like a free ticket to the event, please click here to contact Helen Lewis at Literally PR. Want to be involved by don’t have a book? Start publishing here – it’s easy to get started! I am very excited to be participating in this launch. It is the perfect way to start getting attention for my first novel. 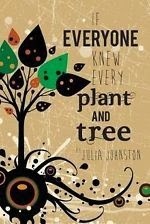 And I think people will like the book! These books do sound very interesting read after going through the synopsis given out here. And when I searched for the reviews of these books online, I could find a lot of good ones too. It is very promising to see the rise of young talents. Welcome to HP Printer Support for instant help and printer services. HP Online Care is one and only online HP Printer support provider for hp devices. Let HP fix your devices online. Our certified technician are available 24×7 for help and support. You are just a call away from our support team. Any hp product which is under warranty will be fixed Free of Cost without any charges online remotely.